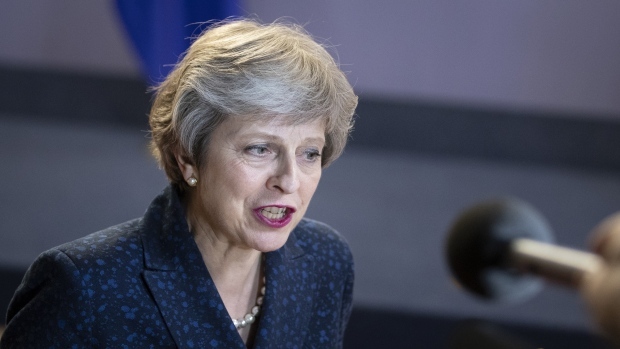 U.K. Prime Minister Theresa May refused to say whether she would vote to leave the European Union if a new referendum were held. Her remarks to Sky News during a visit to South Africa sit uneasily with her message hours earlier that there would be little to worry about if Britain leaves the bloc next March without an agreement on the terms of the divorce. May opposed Brexit during the 2016 referendum and as prime minister, she’s vowed to deliver on the wishes of the British people. But pro-Brexit members of her Conservative Party suspect she’s not fully committed to their cause, with some openly calling for her to be replaced with a true believer. May has been asked before if she’d vote for Brexit in another referendum and has tried to dodge the question, a tactic she deployed again this time. Despite May’s argument, a campaign is already gathering support for a fresh national vote on the terms of the U.K.’s departure.